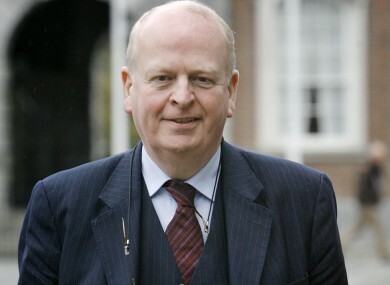 FORMER TÁNAISTE AND Justice Minister Michael McDowell has mounted a strong defence of the Seanad as the campaign to abolish the upper house got into full swing today. McDowell is part of the Democracy Matters group which will be campaigning for retention and reform of the Seanad in the forthcoming referendum and told RTÉ Radio this morning that the chamber is important to the country. “People like Mary Robinson will not be heard again in our parliament,” he told Myles Dungan on the Today with Pat Kenny programme referring to the former president who was a Labour senator in the 1980s. He said the upper house is able to scrutinise legislation to a greater degree and could hypothetically petition the president of the day to put a piece of legislation to a referendum of the people. “People forget about that. That’s a particular provision in the Constitution that enables the wishes of the majority of the Dáil not to have a manner properly debated dealt with,” he said. He said that proposals to reform the Dáil would not lead to an “upgraded and revamped” lower house and said that Taoiseach Enda Kenny could implement most measures announced yesterday right now instead of changing the Constitution. On the same programme, the Fine Gael TD Paschal Donohoe said that his party and the government believed that a country the size of Ireland could have more democracy with fewer politicians. ”This isn’t a smash and grab, this isn’t a power grab,” he insisted. McDowell later said that abolition of the Seanad “is a bit like saying I don’t think the fire escape in my house is very good, let’s tear it out completely or I am not sure of my alarm system let’s tear it out as well”. “If something isn’t working well, you make it work well,” he added. Email “McDowell: There are no muppets in the Seanad, but there are clowns in the Dáil”. Feedback on “McDowell: There are no muppets in the Seanad, but there are clowns in the Dáil”.